DIY Punk Rock Magician from Raleigh. Michael started his professional magic career in 2002 serving as the house Magician for Maggiano’s Little Italy in Southpoint, the house magician for The Mellow Mushroom on Glenwood Avenue in Raleigh, and he now resides as the featured entertainment at The Crunkleton on 320 West Franklin Street. 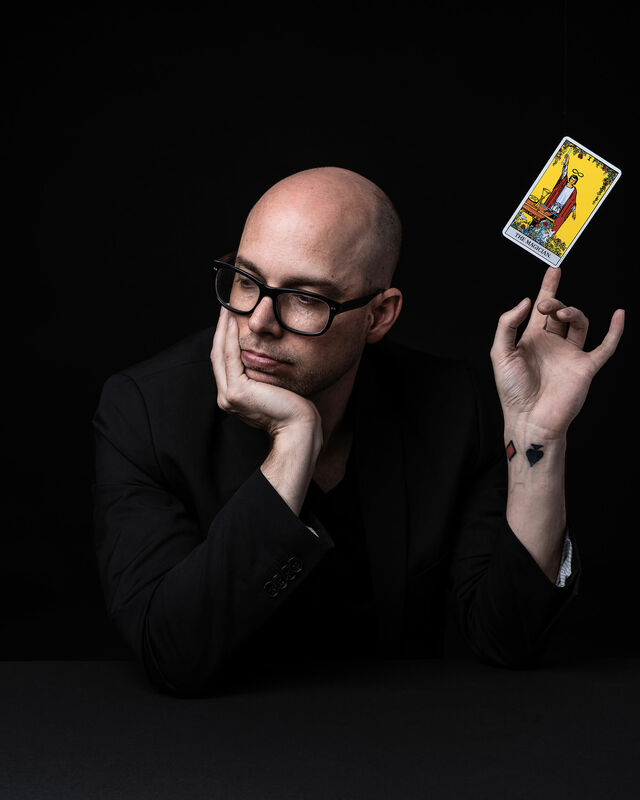 Michael has quickly become one of the most sought after magicians in the triangle area for his unique and organic style of magic. Interested in booking Magic Mike for your upcoming national or international tour or performance? Knock on his door today! Mike is regarded by many as the top close-up magician in the Triangle area. He's a brilliant, brilliant magician, and it's good to know there's a little bit of magic left in the world. You are so incredible that I could, literally, sit and watch you do magic ALL NIGHT! There's something about growing up your whole life with people telling you that most everything is impossible... getting to watch Michael do magic makes me glad I never believed them! I'm not easily impressed by much...but WOW!